Use Styles to map data to network properties, such as node color, edge width, node shape, etc. In a long term, Cytoscape and Cytoscape.js will be more integrated, and as the first step Cytoscape now supports reading and writing Cytoscape.js network/table JSON files. In addition, Cytoscape can convert Styles to Cytoscape.js Style object. 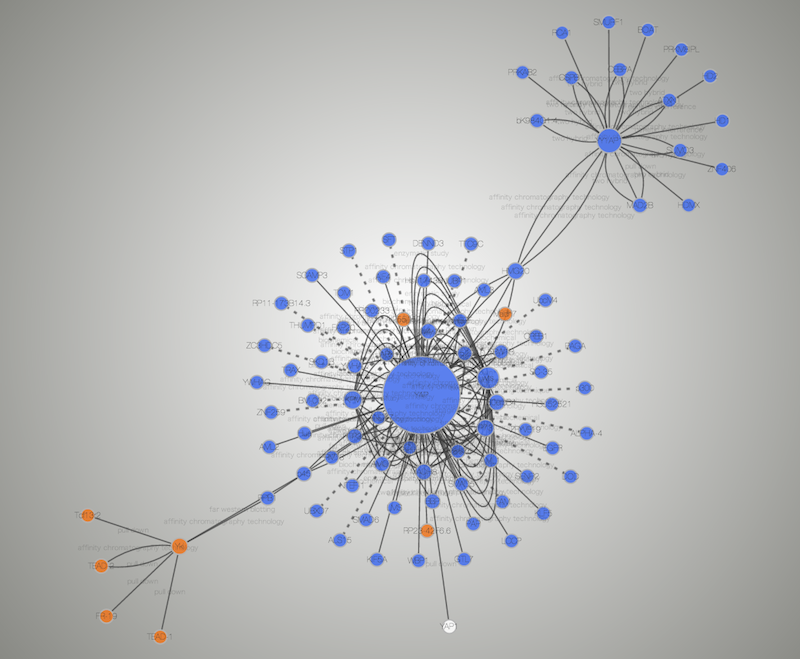 Cytoscape.js stores network data (graph) and its data table in the same object. Cytoscape writes such data complex as JSON, i.e., both network and data tables will be exported as a single JSON file. You can select a network and export it from File | Export | Network. SUID will be used as unique identifier for nodes and edges in the JSON. For more information about this format, please visit Cytoscape.js web site. 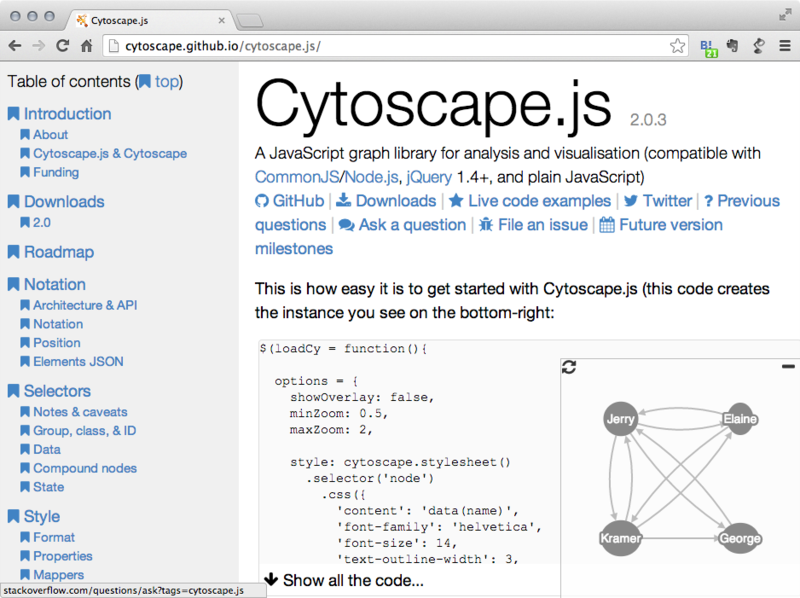 Cytoscape and Cytoscape.js are sharing a concept called Style. This is a collection of mappings from data point to network property. oCytoscape can export its Styles into CSS-based Cytoscape.js JSON. You can export all Styles into one JSON file from File | Export | Styles and select Cytoscape.js JSON as its format. 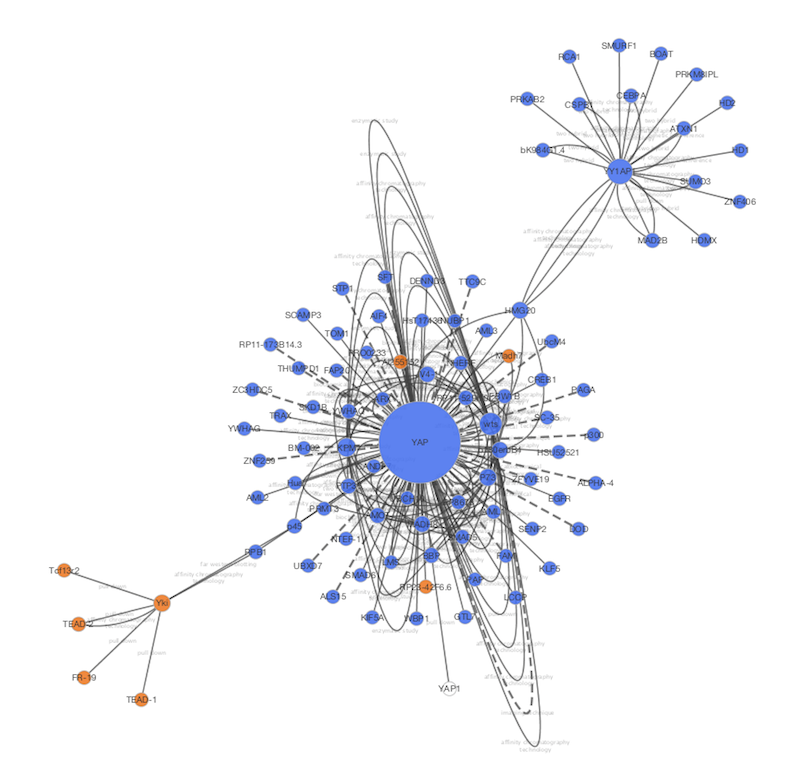 Cytoscape.js does not support all of Cytoscape Network Properties. Those properties will be ignored or simplified when you export to JSON Style file. Cytoscape’s network rendering system is designed for desktop use, while the browser-based renderer incorporates web technologies (e.g., cytoscape.js and Cascaded Style Sheets). As a result, most but not all networks will render the same in the browser as in Cytoscape. Cytoscape visual styles not supported in the web browser are ignored. A complete compatibility list is available here. Cytoscape.js network JSON files can be loaded from standard Cytoscape file menu: File | Import | Network …. Both File and URL are supported. If you have questions and comments about web application development with Cytoscape and Cytoscape.js, please send yours to our mailing list.